Do you remember your history lesson? Was it Honest Abe or George Washington that cut down the Cherry tree? It was George Washington! In celebration of Washington’s birthday on Saturday 2/22, here is a note about Cherries. So, what will it be—sweet or tart? Sweet cherries are best for eating fresh and tart varieties make the best pies and preserves, so it's up to you. Fortunately, the guidelines on how to grow cherries—sweet or tart—is the same, and both kinds grow in Zones 5-9, although many tart cherries can take the cold down to Zone 4. Choose a sunny spot for your tree (at least 6 hours of direct sun a day). 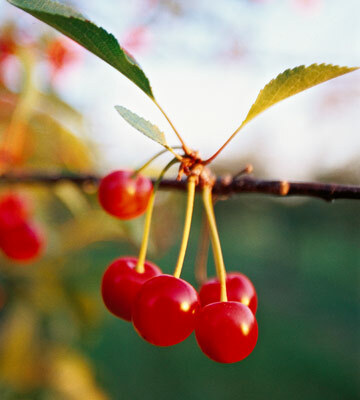 Cherries grow well in almost any kind of soil, but avoid places where the soil stays soggy for extended periods. Spreading a layer of mulch over the soil around your cherry tree will help it grow better and will help prevent damage from lawn mowers or string trimmers. When you purchase cherries, look for those that feel firm and plump and seem heavy for their size. They should be free of spots and soft areas and the stems should be firmly attached to the fruit. For a brief time in summer you can also find Rainier cherries, those pale yellow and pink blushed fruits, they are much more fragile than Bing Cherries and bruise very easily, but are still delicious. Pitting cherries is an art. You can cut them in half and remove the pit with your fingers, but many people like using a cherry pitter, making absolutely sure that each cherry is freed from its pit. You'll get into a rhythm, so enjoy the feel of the fruits, the wine-sweet aroma, the sound of the pit plunking into the bowl, and of course, your cook's treat is to snack on a cherry from time to time. Enjoy the fruit of summer: the fresh cherry. Eat as many of them as you can, and enjoy all the recipes you can find during the cherry season. And thank you George Washington for this lesson on Cherries! 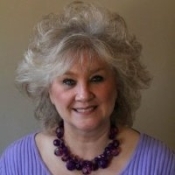 Barbara Williams "Dan's Right Hand"